I just read an interesting article on high speed rail that takes a more comprehensive look at the benefits of high speed rail … it’s not just travel time savings, but what these make possible for the economy. The article presents a very nice analysis by the University of Toronto’s Martin Prosperity Institute. 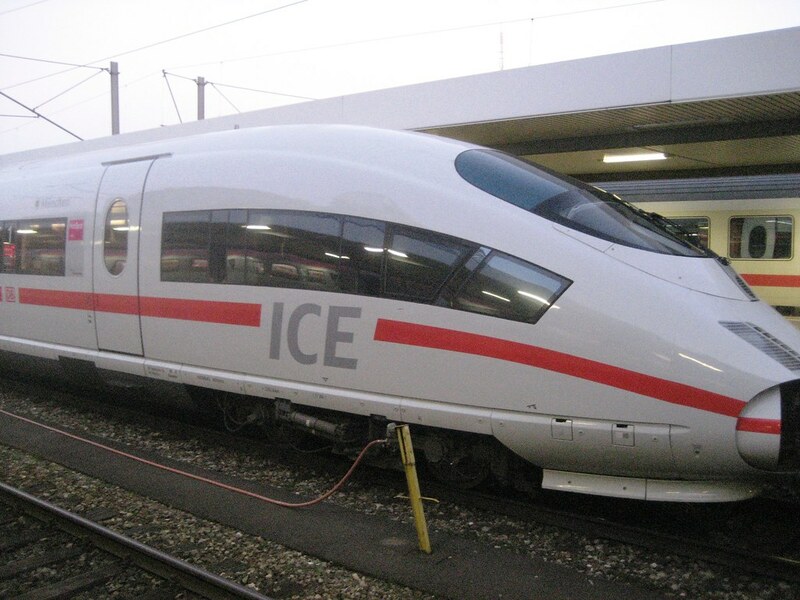 Here it is High Speeds, High Costs, Hidden Benefits: A Broader Perspective on High-Speed Rail. In October I blogged about the California High Speed Rail seminar organized by UC Berkeley’s Institute of Transportation Studies. The seminar was videotaped and the tapes are available from the ITS News Bits website. 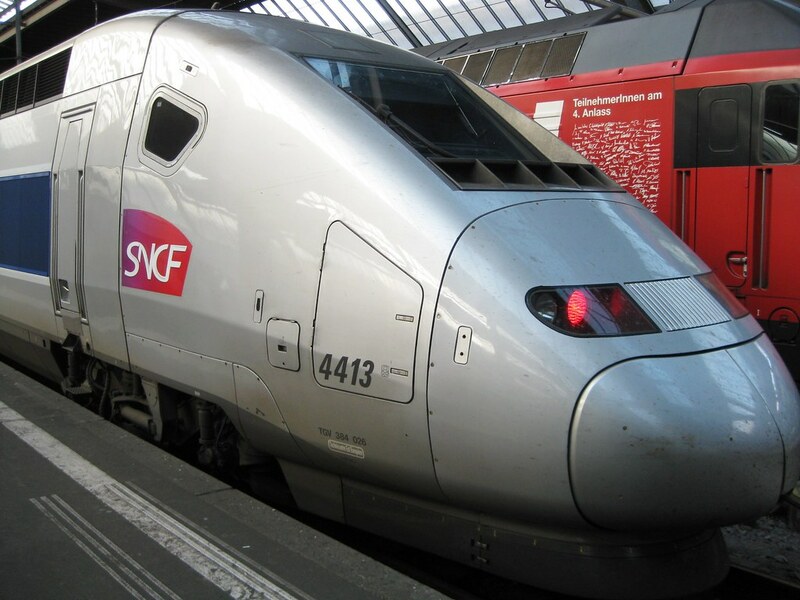 TGV at Zurich Hauptbahnhof – October 2009 – from my flickr photos. As I mentioned in a previous post, I just finished revising my TRB paper on Web 2.0 applications for improving public participation in the transportation planning process (download here: web2transport). Yesterday I was talking to someone about some of the ideas in the paper and I remembered a story I wrote in 2005 as part of a proposal for completing the Regional Rail Plan for the San Francisco Bay Area. The story was a speech given by one of the participants in the Regional Rail Plan planning process given 25-years after completion of the California High Speed rail system. I just re-read the story and I was surprised about how good it is and how relevant so many of the points it raises are today. So, here’s the link to a pdf file. As they say, sit back, relax and enjoy the trip! While in California last week I attended a high speed rail seminar organized by the University of California’s Institute of Transportation Studies and the Global Metropolitan Studies Center. The seminar consisted of six UCB professors talking about challenges and opportunities associated with the proposed California high speed rail system. The seminar was excellent. Professor Carlos Daganzo gave the first presentation. He showed convincingly how high speed rail can bring down the total cost of travel given the expected increase in travel demand combined with the HSR’s decreasing cost per passenger model. This means that there is a very strong case for subsidizing high speed rail in the early stages of development, since it will improve the overall transport system. 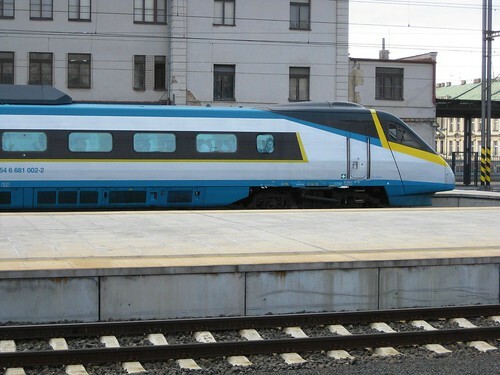 Daganzo also believes that high speed rail can have a transformational effect on local public transport. This means that cities will seek to improve public transport linkages to the HSR stations creating a positive feedback loop leading to better integrated local-long distance public transport systems. Professor Mark Hansen spoke next. Hansen looked at the relationship of HSR to air travel. He believes that with HSR the air travel market will become less competitive and that the reduction in flights will be most evident in secondary airports (only a small share of SFO, LAX and SAN flights are intra-state … although they use more than their share of capacity since they are generally smaller planes). Hansen described research on proximity of Japanese HSR stations that shows that small differences in accessibility make a big difference in demand; therefore stations need to be very carefully located and highly accessible. Finally, he suggested that the best strategy for airlines is to fully integrate their systems with HSR by adopting an intermodal strategy. Interestingly he suggested that this strategy could be ad-hoc, for example, when there is bad weather airlines could shift passengers to HSR. Professor Robert Cervero spoke third and described the land use impacts of high speed rail systems and joint development. He reflected that there have been many studies of the impact of rail on development. Most of these have shown that rail increases development of downtown areas (it would be impossible to have such dense downtowns without rail systems bringing in workers), increases commuter sheds (people are traveling longer distances to access jobs) and that transit oriented suburban development is very hard to accomplish (it needs very strong political support). Cervero proposed four lessons for California: (1) station siting is critical, building stations in freeway medians or surrounded by free parking will lead to more sprawl development and greater driving; (2) feeder systems are important for solving the “last mile” problem, extended TOD corridors are a good solution; (3) TOD as a necklace of pearls (e.g. like Copenhagen’s approach) would be excellent, but California’s current planning regime does not support this approach; (4) joint development must be high quality and pedestrian-oriented, studies of joint development in Hong Kong show that these types of joint development can be much more effective than the alternative basic systems. Cervero ended with the warning that, the high speed rail planning must carefully consider land use or it will simply fan the flames of sprawl development. 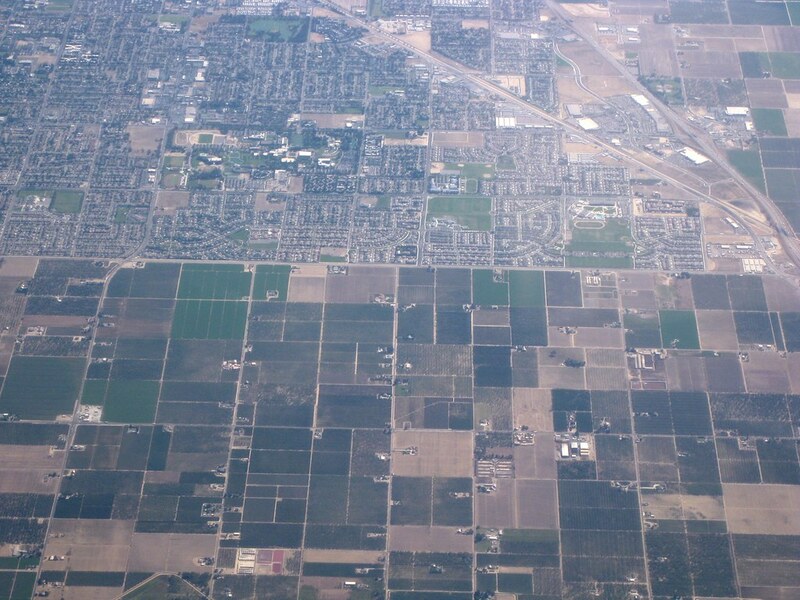 California needs institutional reform to make effective land use planning possible. Professor Elizabeth Deakin was the fourth speaker. She described results of a study she had done for the California High Speed Rail Authority for several Central Valley cities on how they could use HSR to revitalize their city centers. Her presentation was fascinating because she was able to show how these cities could use infill to grow into much more sustainable places while maintaining local building styles and character. Her drawings and planning maps helped illustrate the great potential HSR has for creating livable and environmentally sustainable cities. Professor Arpad Horvath talked about the full life cycle environmental impacts of HSR. His main point was that HSR needs to be well used to be a more sustainable form of transport than automobiles or airplanes. However, if well used, HSR would be good for the environment. Another important point was that much of the electricity generated for California has a high level of sulfur dioxide (SO2), which means that HSR would generate more SO2 than driving or flying (on a per passenger KM life cycle basis), therefore, as part of the California HSR project, the state needs to develop alternative sources of electrical energy (not a bad idea). Professor Samer Madanat, Director of the ITS, summed up the main points and moderated the question and answer period. He emphasized the fact that most of the speakers emphasized the need for good feeder systems and improved land use planning to make HSR successful. The seminar was an excellent overview of ideas for making high speed rail in California more successful. The ITS is trying to develop an organized center for continuing and expanding this interdisciplinary research, I hope that they are able to attract the funding and support necessary to create the center.